Our client was a passenger onboard an aircraft who was seriously injured when a beverage cart came loose during landing and careened down the aisle, crushing her foot and ankle. 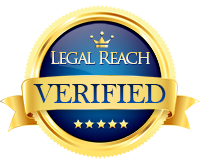 After protracted litigation against a very capable Los Angeles aviation law firm, we were able to obtain a settlement on favorable terms for our client, mere weeks before trial. In 2010, a South Carolina National Guard Apache helicopter suffered a severe mechanical malfunction during the shut-down procedure as it was parked on the ramp, killing one soldier and seriously injuring the other. A structural defect in a component part failed, causing the main rotor mast to fall forward and the rotor blades to slice through the cockpit, striking the ground and catastrophically destroying the helicopter. After several years of litigation, we settled the case favorably at mediation for the injured pilot and the family of the deceased service member. Our client was an Air Force Reserve pilot who mobilized and deployed for nearly three years while he was employed by FedEx. While he was gone, FedEx paid a signing bonus to its pilots based on the aircraft they were flying at the time the bonus was paid. Had our client not been on military duty, he would have upgraded to the next category of aircraft so when he returned to FedEx, claimed he was due the bonus for the upgraded aircraft. FedEx denied his request and after a one-day trial, the U.S. District Court, Southern District of California agreed, and awarded Mr. Huhmann his full signing bonus plus interest (trial court opinion). FedEx appealed this decision and the case is currently pending before the 9th Circuit Court of Appeal (Appeal Brief).